After Mario and I went to the Tao of Tea for dinner, we decided to run over to Powell’s City of Books. 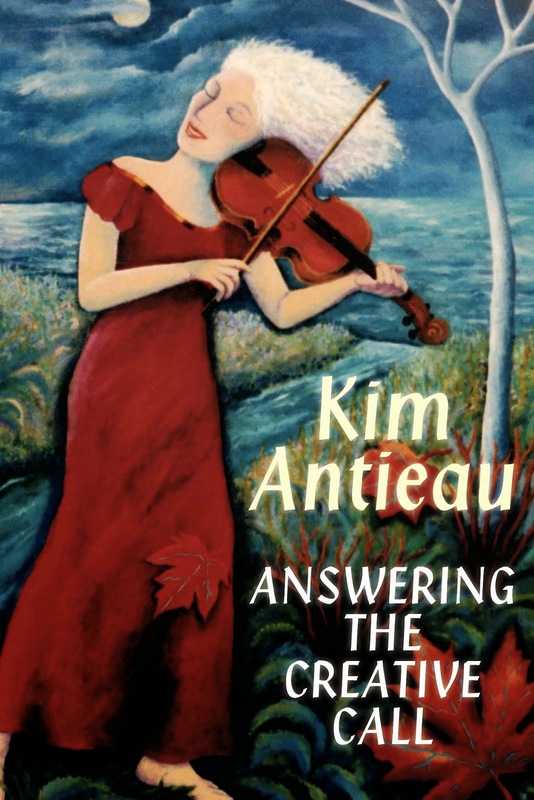 On my writing retreat this winter, I decided that I was going to work to bring my dream to fruition: For most of my adult life, I have wanted to create a sort of sanctuary where artists, writers, activists, and others who needed refuge could come and stay for a time. I had hoped my writing would fund the center, the sanctuary, the wild place. That hadn’t happened yet, but I could start to figure out what steps I needed to make the place a reality. I have always been good at the big picture. I have always been a visionary. 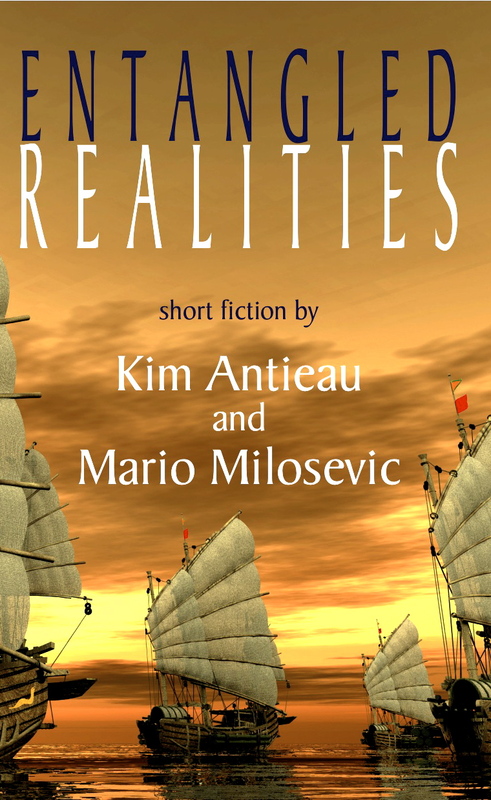 But I have often gotten lost traveling from the Vision to the Real. That was my excuse for going to Powell’s even though I had just been there the night before. It was much busier this day than it had been Sunday night. When we walked through the front door, a young man at the information desk smiled at us. I could have asked him for help, but I didn’t feel like he could tell me anything tonight that I didn’t already know. So I smiled at him and kept walking. Mario and I promised to meet up in about twenty minutes. He went one way. I went another. I started to go down to the Rose Room to see if they had any copies of Ruby’s Imagine. If they did, I would sign them; if they didn’t, I would be depressed. I decided to skip it. Ignorance was bliss, this night. Instead I walked upstairs, through the Purple Room and into the Red Room. I wandered around the mythology section. I glanced at the “imaginary beasts” shelf. Then I went around to look at the women’s mythology section. I didn’t see anything new. A card hung from one of the shelves. It was the same card I had seen there for years: It was a recommendation for the book The Myth of Matriarchal Prehistory by Cynthia Eller. I often wondered if the person who took care of this section actually despised women's mythology. Was that why the card stayed up there for so long? Or was I reading too much into it? If I remembered correctly, in the book the author was irritated that so many women believed matriarchies actually existed. They did exist, as far as we can tell, but Eller said that they didn’t. Or maybe she said they were the exception rather than the rule. In any case, the faded card lauding the book was still there after all these years. Just the card. Not the book. Or maybe it was there and I just didn't see it. As I stood there in the women’s mythology section, I thought of my friend Jeanne Hardy who used to live in Twisp, Washington. Jeanne and I would often write one another and wonder what we could do to wake people up to what was happening in the world. We talked about putting out a call to the women we knew. I pieced parts of our letters together into one coherent work and titled it "The Calling." We’Moon published it. And then she died. Her immune system was overwhelmed from chemical sensitivities. She got lung cancer and died within a month. The day after Jeanne died, Mario and I drove to Portland and went to Powell's. I was bereft. She was the second of my close friends who had died unexpectedly in the space of two months. I wandered the store and tried not to cry. I wondered what meaning anything had. I called out to the cosmos (quietly), "I need a sign. I need to know that people don’t just disappear. Send me healing, send me to a book, anything!" Mario and I went up to the women's mythology section. He could see how sad I was. He wanted to find something that would help me. 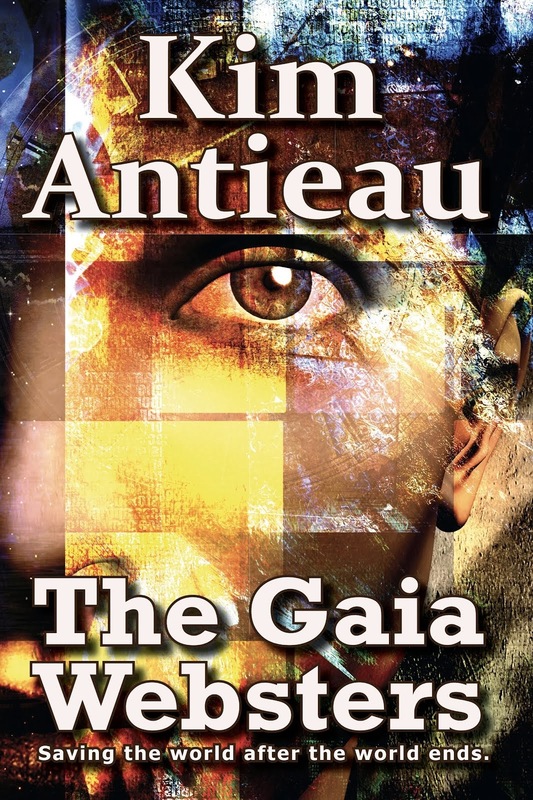 He reached for a book beyond my height called The Myth of the Goddess. He opened it up and found a Mariners baseball ticket, like a kind of bookmark, between pages 108 and 109. The ticket was for a game on July 7, 1993, about ten years earlier. It was for aisle 109, Row 14 and seat 14. I looked at page 109 since it was the number of the aisle. 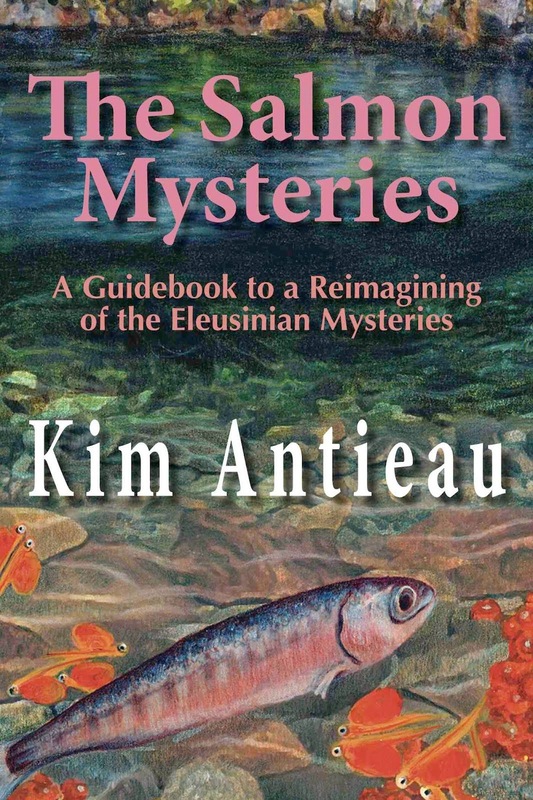 It had a photo of the Minoan Snake goddess which I had been studying and which I had used on the cover of The Salmon Mysteries: a nonfiction piece of mine that I had sent Jeanne a couple months earlier. 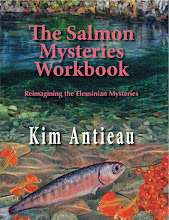 Her last email to me told me how much she had enjoyed The Salmon Mysteries. I looked at Mario with my mouth open. I had first met Jeanne in 1993, the year on the ticket. When I got home from Powell’s that night, I became curious about the date of the baseball game. So I looked it up to see what had happened that day. When I retell it now, the whole episode seems convoluted and strange. But when it was happening, I got goosebumps. I felt as though Jeanne was somewhere trying to tell me something. It still feels quite marvelous, in the true sense of that word. Now, I walked away from the women’s mythology. I went through the Red Room to the Purple Room. I stopped at one of the end shelves near the anthropology section and picked up the book Cave Paintings and the Human Spirit. One of my unpublished novels, Her Frozen Wild, deals extensively with cave paintings, and it is still a special interest of mine. 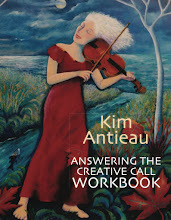 I flipped through the book and stopped at a page where the author wrote about shamanism and creativity. Many of my friends are shamanic practitioners and I’ve studied folk healing and shamanism for years. I was excited to read something new on the subject. 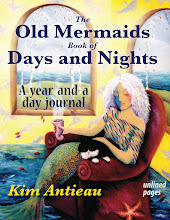 But from the page or two I read, it seemed as though the author was saying that shamans suffered from mental illness. This was an old and tired theory about shamanism. I was surprised that this was still something some researchers believed. I sighed. I’d have to ask my friends later if any of them had read it. Just because the majority believed something was true didn’t make it true. But that didn’t make it untrue either. I put that book away and flipped through Tell My Horse: Voodoo and Life in Haiti and Jamaica by Zora Neale Hurston. Hurston went to Haiti and Jamaica and participated in Vodou rituals. 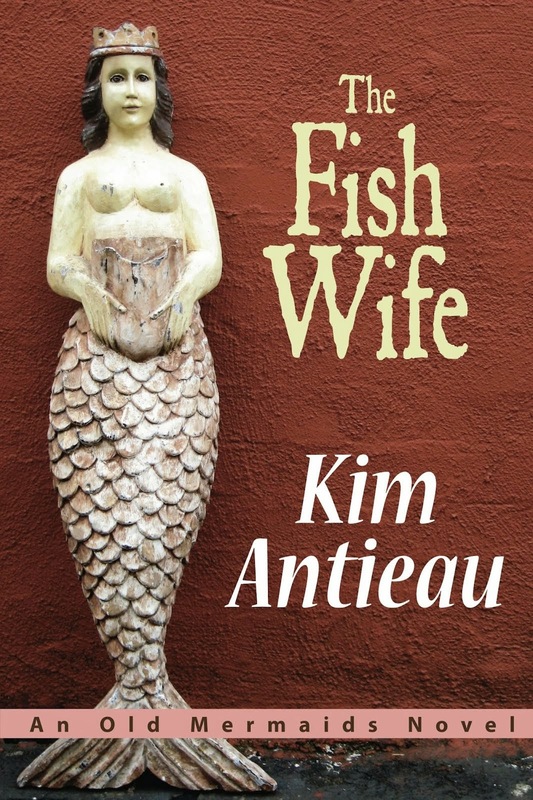 It looked like a good book to read for more research on Vodou which figured in the novel I was working on, The Old Mermaid. It was good to see her work in Powell’s. So many (if not all) of her books had been out of print for decades. I put the book back. It was time to go find what I had come into Powell’s to get: Something to help me bring my dream into reality. Probably a book wasn’t going to do that, but I wanted one anyway. I went down to the Orange Room to the public computer which was on the counter of the information desk. I looked up books about haciendas. Although the haciendas were hierarchical with a big boss man in charge, I still liked the structure of haciendas--I liked their architecture, their sense of community. And I’m a sucker for Southwestern U.S. and Mexican design. While I was looking up what I needed, I noticed the man at the information desk who sat in his chair a few feet from me. He was eating an orange. It was quiet in the Orange Room, so I could hear him slurping as he ate this orange. When he finished one section, he wiped his hands on his jeans. Then he ate another one. And wiped his hands again. I wished I had earplugs. Another staff person started to walk by the desk and then she stopped and began talking to the man about a couple meeting on Facebook and getting married. Or something like that. I was trying not to listen. I was grateful for the break in slurping. Just then the young man dropped whatever was left of the orange into the garbage at his feet and then he pushed the can into the corner of the station, right by me. People have to eat. I didn’t know why it was gross to me, but it was. I went to the section in the Orange Room with books about haciendas. I found a big gorgeous book called Hacienda Style. It had so many ideas for my beautiful imaginary sanctuary. 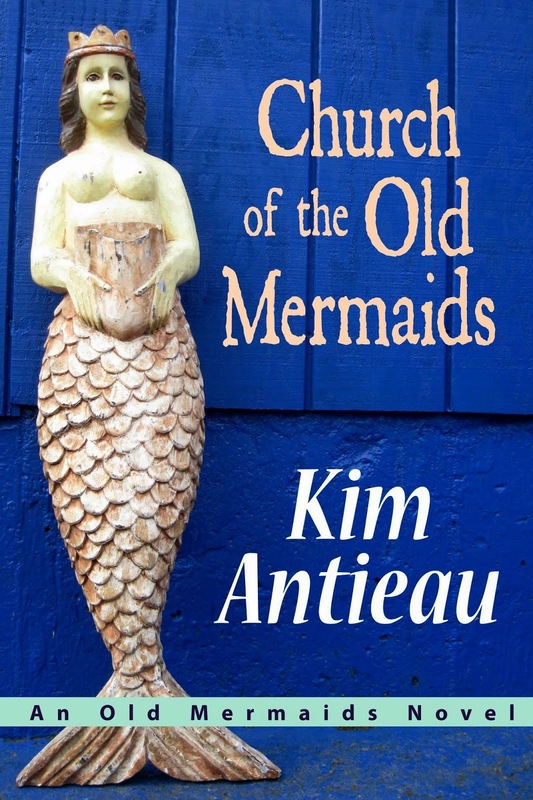 The book was too expensive, but I’d just gotten a small royalty check for Church of the Old Mermaids. I could buy this one book. 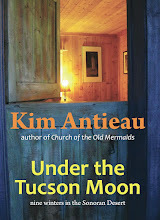 When I wrote Church of the Old Mermaids, I made the Mariners ticket part of the story. In the novel, Myla Alvarez finds treasures and trash out in the desert and then she brings them into town, into Tucson, and sets up her table and puts what she finds on that table. With each item comes a story. The ticket was one of those items. Sometimes it does seem like everything is connected, everything and everyone is related. I paid for the book and went to look for Mario. Maybe we'd stop at Whole Foods and pick up some oranges on the way home. 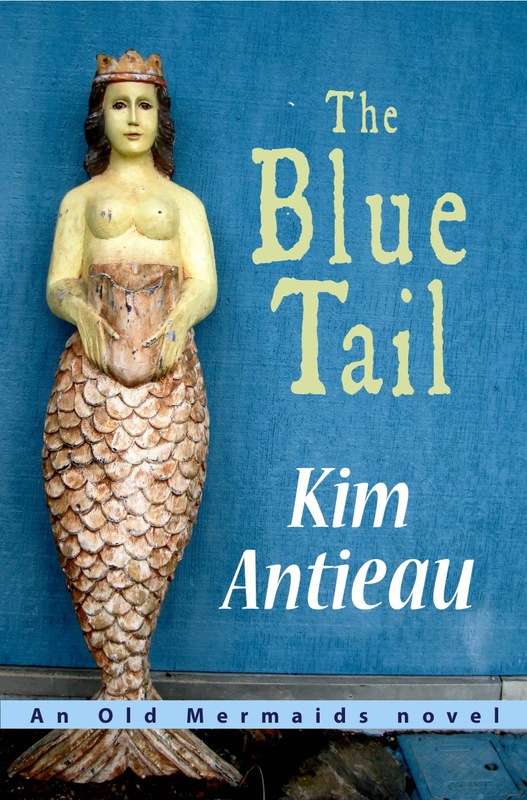 Hi Kim - loved reading this. I have never been to Powells but Paul my freidn who lives in Portland speaks of it often. 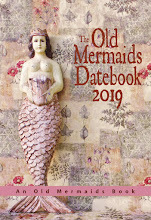 I am a close friend of Joanna's - I lived in Vancouver and now live in Wales - I am one of the mermaids who go on the annual retreat - alas I will miss it this weekend. 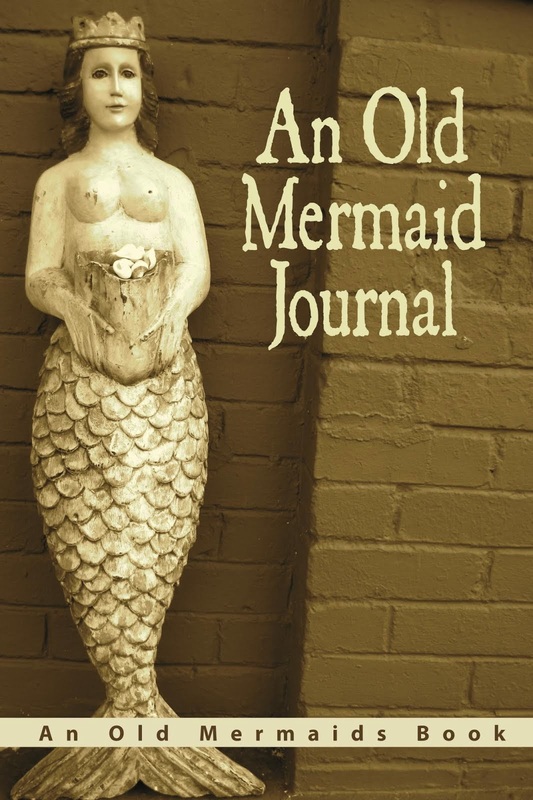 I have the manuscript you gifted us with a few years ago - glad to know Church of the Old Mermaids has been published. I am following you on Twitter. Enjoy your posts and your blog!! I bet you would love Small Strawbale by Bill and Athena Steen. They teach strawbale building in southern AZ, and their structures are these brilliantly colored, artistic creations. Also, I suspect you've already read it, but if not, check out Sue Monk Kidd's Dance of the Dissident Daughter. 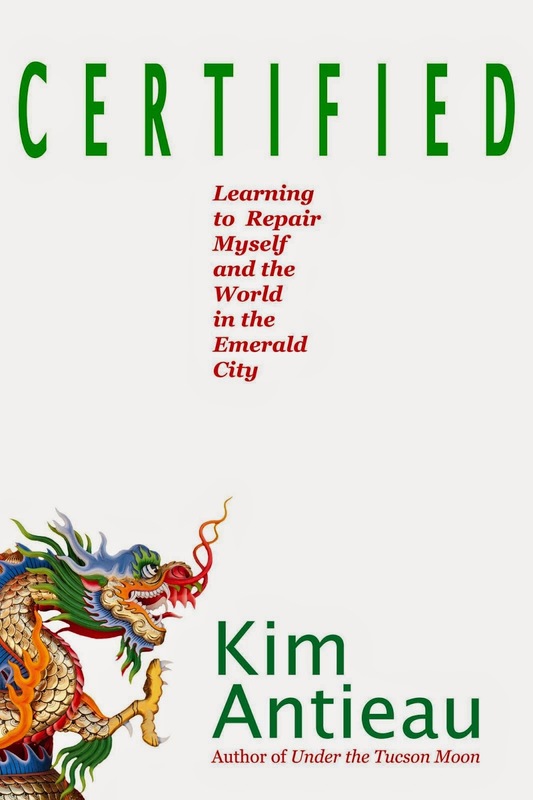 Oh Kim... what a treasure your writing is. Thank you! I was Googling something on Leonard Peltier and much to my surprise a link to this came up. What a gift - I'm sorry I missed it originally a year ago, but it's SO relevant today (and you've just returned from the magical Tucson desert again, I believe). Love to you and all your good works - I can hardly wait to ready more!